Getting a small business online can be very daunting. Where do you start? What needs to be done?121mcv offers up some vital expertise for confused business owners, whether they're unsure where to start or just looking to tidy up their efforts. Is your small business on the web? A recent study from pbSmart Essentials suggests that it probably is. Rising numbers of small businesses are increasing their investment in online methods of marketing, and with good reason. The internet is an extraordinarily powerful tool when it comes to reaching consumers and getting them to interact with your business. So what can small business owners do to ensure they're using the right approach for the internet? While it takes time to implement a full online strategy, the tips listed below should cover the basics. Your online activity needs a centralised hub. Set up a website that tells people about your business - what it does, where it is based, directions etc. Invest plenty of time in designing your website. A balance between white space and good graphics should be struck to ensure good readability. For social media, don't forget to set up a company account where possible. Keep it separate from your personal account to avoid any embarrassing crossover. Ask someone to critique your website. It might be easy for you to navigate because you know where everything is. Asking someone to take a look can ensure the experience is the same for everyone. Search engine marketing (SEM) is your friend because everyone on the web uses a search engine. Employing Google Adwords, for example, is a great way of reaching millions of potential customers with adverts relevant to what they're searching for. Invest time in search engine optimisation. Publishing content to your website pages can help to push your site higher in the search engine rankings. If you have a particular expertise or experience to talk about in relation to your industry, it may be worth getting a blog to do this on. Read up on the latest SEO and SEM tactics. These change on a frequent basis as search engines often alter the requirements that they use to rank websites. Keeping on top of changes will keep you above your rivals in the listings. Be creative in your marketing. Sometimes an amusing picture goes further than a dull advert ever could, especially on the internet. Check your grammar and spelling. A poorly-typed post on Twitter can lose you customers. Get a headshot on your website. This gives your customer reassurance that your business is run by a real person. Selling your product via your website is a great way of bringing your business to an international stage and increasing your domestic output. Before setting up an online shop, make sure you're aware of the legal ramifications. Even if you're selling out of your front room, you're still liable to tax. Security is essential if you're selling over the net. You're risking your business' reputation if you fail to put the proper procedures in place. Trial your e-commerce system before setting it live. This helps to iron out any potential problems your customers would otherwise encounter that might put them off buying. Remember to monitor the system for new orders. If you go on holiday, make sure you ask someone capable to do this for you. You don't want to come back to a mountain of angry emails from clients asking where their orders are! “There is a difference between leadership and management. Leadership is of the spirit, management is of the mind. Managers are necessary, but leaders are essential. We must find managers who are not only skilled organisers, but inspired and inspiring leaders.”Field Marshal William Joseph "Bill"Slim"
You can buy someone’s physical presence, but you cannot buy loyalty, enthusiasm or devotion. These you must earn. Successful organisations have leaders who focus on the future rather than cling to the past. Leaders bring out the best in people. They spend time developing people into leaders. Leaders have a clear vision of what they are working towards. They don’t keep their vision a secret - they communicate it to their people. Leaders are consistent. They keep their principles and values at all times. Leaders can and will do what they expect of others. They are prepared to walk the talk. Leaders are not threatened by competence. They enjoy promoting people and are quick to give credit to those who have earned it. Leaders enjoy developing their people into leaders, not followers. They train people to take on more challenging tasks and responsibilities. They develop peoples confidence. Leaders don’t betray trust. They can treat confidential information professionally. Leaders are concerned about getting things done. They don’t get embroiled in political infighting, gossip and backstabbing. They encourage those around them to do likewise. Leaders confront issues as they arise. They do not procrastinate. If something needs fixing, they do it right away, even if it is uncomfortable. The longer things are left, the more difficult they become. Leaders let people know how they are doing. They reward and recognise performance that is above expectations and they help people identify ways of improving poor performance. Leaders are flexible. They welcome change. They do not stick to an old position simply because it is more comfortable. Leaders are adaptable. They see change as an opportunity rather than a threat. Leaders are human. They make mistakes. When they do so, they readily admit it. Leaders reflect on and learn from their mistakes. They see errors as a chance to improve their skills. Leaders enjoy challenge. They are prepared to take risks and encourage others to do likewise. If they fail, they treat the exercise as a learning experience. Leaders focus on the future, not the past. They anticipate trends and prepare for them. They develop a vision for their team and communicate it to them. Leaders are open to new ideas. They demonstrate their receptiveness by supporting change. Leaders treat staff as individuals. They give closer attention to those that need it and lots of space to those that deserve it. Leaders encourage and reward co-operation within and between teams. Leaders develop guidelines with their team. They constantly enlarge the guidelines as the team becomes willing to accept more responsibility. Leaders change their role according to the demands of the team. For example, they become more of a coach or facilitator. Leaders listen to their team members. Leaders involve people in finding new ways to achieve agreed-upon goals. Leaders create the opportunity for group participation and recognise that only team members can make the choice to participate. Business networking is an effective low-cost marketing method for developing sales opportunities and contacts, based on referrals and introductions - either face-to-face at meetings and gatherings, or by other contact methods such as phone, email, and increasingly social and business networking websites. Here are ten of the most important principles for effective business networking. More details are linked from each tip to bigger explanations below. Consider that all sorts of professional people outside of the business community can also be very helpful networking contacts - for example, scientists, lecturers, educators, councillors, etc. When developing your networking plans, think beyond the people you'd typically see at other business networking events. Some of the most important connections are not business people, and consequently you need to be creative in reaching them. The examples of networking situations/methods below provides help with this later. 1. Elevator speech. Describe yourself concisely and impressively. 2. Be different. Differentiate yourself. Aim high. Be best at something. 3. Help others. Help others and you will be helped. 4. Personal integrity. Integrity, trust and reputation are vital for networking. 5. Relevant targeting. Groups and contacts relevant to your aims and capabilities. 6. Plans and aims. Plan your networking - and know what you want. 7. Follow up. Following up meetings and referrals makes things happen. 8. Be positive. Be a positive influence on everyone and everything. 9. Sustained focused effort. Be focused - and ever-ready. 10. Life balance. Being balanced and grounded builds assurance. Use these principles also in text-based descriptions for the web and printed materials, etc. This is commonly called an 'elevator speech' or 'elevator pitch' - as if you were to meet a potentially important contact for the first time in an elevator at a conference and he/she asks you: "What do you do?" You have no more than 20 seconds - perhaps just 10-15 seconds - between floors to explain, and to make such an impressive impact that the person asks for your contact details. If you talk (or write) too much, the listener (or reader) will become bored, or think you are rude or too self-centred. Be concise. You will demonstrate consideration and expertise by conveying your most relevant points in as short a time as possible. 1. Your name "My name is..." Look the other person in the eye. Smile. Shoulders back. Speak with confidence. Sincerity and passion are crucial in making a strong early impression. 2. Your business name "I work for..." or "My business is ..." Loud clear proud again. Do not ask "Have you heard of us..?" or wait for recognition. 3. Based and covering where "I am based..." and "I cover..." Adapt the town, city, geography for the situation. There is little value in mentioning a tiny village if you are at a global gathering, or your global coverage if you are at a local town gathering. Make this relevant to the situation. 4. Your personal specialism and/or offering, and your aims Be different and special and better in some way from your competitors. Be meaningful for the event or situation or group, and as far as you can guess, be meaningful for the contact. Express what you offer in terms of positive outcomes for those you help or supply, rather than focusing on technical details from your own viewpoint. Load your statements here with special benefits or qualities. Be positive, proud and ambitious in your thinking and expression of what you do. Include in this statement what your aims are, to show you have ambition and that you know what you are seeking from network contacts. Depending on the situation, aim to complete your explanation in less than 20 seconds. Less is more: lots of powerful points in very few words make a much bigger impact than a lengthy statement. It is a sign of a good mind if you can convey a lot of relevant impressive information in a very short time. Conversely, a long rambling statement shows a lack of preparation, professionalism and experience. N.B. In some situations your speech may flow smoother by inverting points 3 and 4, or combining them. If your organizational structure is complex do not attempt to explain it. The other person is not interested in this level of detail now - they just need to know where you operate, and an indication of scale. While you are speaking look the other person in the eyes, and be aware of his/her body language to gauge for interest and reaction to you personally, and to help your assessment of the other person's character and mood. After your 'elevator speech' end in a firm, positive, constructive way. Ending with a question enables more to happen than letting the discussion tail off nowhere or into polite small-talk. "What's your interest here/at this event?" "How would you like to improve/change/grow... (various options, for example - your own network, your own business activities, this sort of event, etc)?" After giving your elevator speech avoid the temptation to force your business card onto the other person (unless this is the tone and expectation of the event), and certainly do not launch a full-blooded sales pitch. Instead try to develop the discussion around what the other person wants to do, achieve, change, grow, etc. Many highly competent business people have a habit of interrupting and cutting short discussions when they see an opportunity. This means you may not always finish your elevator speech, in which case allow the discussion to progress, rather than try to complete what you planned to say. Be prepared at any time to respond effectively to an interruption like, "Okay, I get the picture - now what exactly do you need?.." The sales tips and marketing links contain lots of guidance about developing or refining your offering so that it is strongly differentiated from what is already available in the market-place, whatever your market-place is. If there is no special difference between you and other providers, then people have no reason whatsoever to choose to work with you. Look again at how you describe your business offering (or yourself as a person) - what's different or special about it (or you) compared with all the others? If there is no difference, you must find a way to create one. Sometimes this is merely a matter of redefining or placing different emphasis on what you already are and already do. This difference must be something that plenty of people will find appealing; ideally irresistible. If you are struggling to find a difference or market advantage, look at your competitors and talk to your customers, and discover what's missing and what can be dramatically improved out there. There is always at least one thing, usually more - perhaps you can bundle two or three powerful market advantages together. This difference needs to shine out in your elevator speech, and be echoed in your subsequent discussions whenever initial interest develops towards supplying something, or putting a collaborative project together. Aim high and big when thinking about and expressing yourself and your aims. Be realistic of course, but aim to be the best and to lead in some way, in whatever specialisms and market-place you operate. Your aims should also suggest what you are seeking from business networking - otherwise, there's no reason for you to be networking. Business networking is not simply finding customers in one-to-one meetings and connections; it's building a strong network, helpful for your aims. Accordingly project yourself as a great networker, as well as being a great supplier or specialist. Business networkers want to work with other networkers who aim high, who have great ambitions; people who see what can be, not merely what is; and who strive for change and improvement. These attitudes make things happen. When you meet like-minded networkers with these attitudes, your network will grow because they'll see you can make things happen too. Always prioritise helping and giving to others ahead of taking and receiving for yourself. You must give in order to receive. Be helpful to others and you will be helped in return. Networks of people are highly complex - often it is not possible to see exactly how and why they are working for you, so you must trust that goodness is rewarded, even if the process is hidden and the effect takes a while. Use the principle of 'what goes around comes around'. You could think of this as Karma in business. A possible explanation of how Karma (or whatever you call it) produces positive outcomes is found in the rule of 'cause and effect', or the scientific law (loosely speaking) that 'every action has an equal reaction'. Good deeds and helpfulness tend to produce positive effects. They are usually remembered and often repaid. The giver builds reputation and trust. Referrals tend to result. Imagine yourself having lots of personal connections like this. You become known as a helpful person. Word about you spreads, and your reputation grows. People who give are seen to have strength to give. Followers gravitate to strong giving people. Helping others extends far beyond your personal specialism or line of work. Networking is about working within a system (of people) enabling relevant high quality introductions and cooperations, which get great results for the participants. These enabling capabilities transcend personal specialisms. At a simpler level, always try to ask helpful questions. These typically begin with 'what' and 'how', and address an area of interest to the other person, not you. "Do you mean X or Y?" "Do you want to do X or would you prefer that I do it?" Sharon Drew Morgen's Facilitative Methodology, while primarily developed for selling, is strongly based on working with systems (of people especially) and includes many excellent ideas and techniques which can be used in business networking and helping others. The communications concepts of NLP (Neuro-Linguistic Programming) and TA (Transactional Analysis) also contain useful techniques for helping others, and for understanding the underpinning psychology. Be creative and constructive in how you regard others and how you might help them. Being defensive and making assumptions tends to limit options and growth. For example try to see your competitors as potential allies. There is a fine dividing line between the two behaviours, and positioning too many people/companies in the competitor camp can make life unnecessarily difficult. When you talk to your competitors you will often surprise yourselves at the opportunities to work together, in areas (service, territory, sector, application, etc) where you do not compete, and even possibly in areas where you do compete. This is particularly so for small businesses who can form strategic alliances with like-minded competitors to take a joint-offering to a market and compete for bigger contracts. Sometimes a situation arises which tempts us to do the wrong thing, causing harm or upset that could have been avoided. Making such a mistake can damage personal integrity. We are all human; mistakes happen. If you do make a mistake or wrong decision - whether it significantly undermines your integrity or not - always admit it and apologise. Failing to apologise for wrong-doing often damages a person's integrity and reputation far more than the original misjudgment itself. We only need to think of how we view people in high and public authority, notably politicians, when they fail to take responsibility and admit their mistakes. Some integrity is lost. Do it a few times and all integrity is lost. People of low integrity sooner or later find that the only friends they have left are other people of low integrity. Significantly, integrity is vital for trust to develop. Trust is simply not possible without integrity. Building trust is essential for growing a strong business network. Lack of trust prevents successful business networking. Certain connections are absolutely impossible to make until a very high level of trust is established. Empathy and effective listening greatly assist the process of building trust. These qualities require you to be genuinely interested in others; to listen properly, and to reflect back meaningfully and helpfully. Following up (covered below) is also a vital feature of building trust and reputation. You will probably know a few very solid people who always keep their commitments, and who never make a commitment which they cannot keep. Aim to be like this. Reliability and dependability are highly valued qualities in relationships, especially relationships involving referrals and recommendations, because someone's reputation is at stake. The words 'reliable' and 'dependable' do not mean that you are always available to everyone. These words mean simply that when you say you will do something you will do it. Identify and target groups and connections which are relevant to your aims and capabilities. Other professional people can be important networking contacts. Direct your targeting beyond obvious business people and obvious networking groups, but be mindful of the nature of the group, and conduct yourself appropriately. Consider how different groups and networks operate, online and elsewhere. Be aware of the group's needs, expectations, rules (official and unoffical), and membership composition (formal or entirely random), and adapt your style and methods accordingly. Certain non-business professional people can be hugely influential in networks, and greatly trusted because of their neutrality and professional standing - educators and scientists, for example. Journalists, surgeons, and magistrates, also. There are many others. It is not easy to make connections with these people through conventional business networking, but remember that a network is not only made of business-people, and be awake to these non-commercial connections when the chance comes. A true business network is a connected system of people within which referrals and opportunities can be passed through several connections, or circulated to all those connected. Networking thus can extend far beyond simply having lots of random one-to-one meetings. A given number of people who are connected for a reason will generally be more productive than the same number of random connections. So don't go aimlessly after every networking opportunity which comes your way; instead try to find networks which already function well or have the potential to do so; and consider and decide which sort of groups and contacts will be most helpful for your aims and capabilities - ideally remembering that you need to be able to help them, as well as they should be able to help you. Within most networks people tend to have a few close and trusted connections. Choose these, your most trusted and closest associates, very carefully. Reputations are built according to your chosen contacts, in addition to how you yourself behave. So focus your efforts on groups and connections of integrity, as well as relevance. You can identify your target group criteria in your networking strategy or plan, explained next. It is important to know exactly what you want, because you will be asked - very directly by powerful potential contacts - and you will need to give a clear answer. In terms of evaluating and choosing a potential networking group - especially a big online community - investigate the tactics that successful members are using. Ask a leading member for pointers. This will help you assess the group's relevance to your needs and strengths. A structured approach can be especially important for very sociable networkers. Here is a simple example for planning and monitoring networking, which extends the elevator speech template above. Just use the headings as a guide if you prefer to work more intuitively, or if you favour a certain type of planning method. tactical group notes/tips - what works well? what do I want from these people? Obviously alter the box sizes to allow for whatever content you want to insert. The example above doesn't necessarily suggest you begin with three groups, or limit your business networking activities to three groups. Networkers who meet people and never follow up are wasting their time. Networkers who never follow up will eventually become known as time-wasters. Be positive. Use positive language. Smile. See the good in people. Avoid personalising situations. Remain objective. Seek feedback and criticism about yourself and your ideas from others. It is the most valuable market research you can obtain - and it's totally free. Be tolerant. Be patient. Be calm and serene - especially when others become agitated. At many networking events and situations you will have the opportunity to give a presentation to the assembled group. This is a wonderful chance for you to demonstrate your expertise in your specialist area, your positive confident character, and also to pass on some useful information. When giving presentations in these circumstances, avoid giving a hard-selling pitch, unless you are sure that such a style is appropriate. Usually it is not. Aim to inform and educate rather than to sell. In many networking situations a strong selling presentation is regarded as insulting by those present. This is especially so if you are a guest of a group that you would not normally meet regularly. Try to find and present within your specialism the most helpful information for the group concerned. Your aim at the end of the presentation is for the audience to have learnt something useful about your area as it applies to them, and to have been impressed with your professionalism and command of your subject. Thereafter in all cases - planned and unplanned - much depends on what you offer to your connections - again see help others. Business networking, like any other business activity, requires concentrated effort to produce results. Sustained focused effort does not mean delivering a full-blown sales pitch to every person you meet, and plastering your brochures all around the hotel lobby. Sustained focused effort means working hard to become a regular active helpful presence in the group. Conversely when our life slips out of balance for any reason, we have less to give. We have lower reserves of enthusiasm, energy, tolerance, understanding and consideration for others - all essential for growing and maintaining a successful business network. This prompts an incidental 'lifestyle' tip - for business networking events where alcohol might be available: drink in moderation and keep a reasonably clear head. This is not to say that you should reject all local customs where drinking is involved. In many social business events, including many foreign situations, drinking and eating are a very significant part of relationship-building. Use your judgment. Alcohol to a degree certainly helps many social processes, but taken to extremes tends to be counter-productive. What goes around comes around.. humankind can't yet explain this scientifically, but it does seem to work. Give to receive. Counter-intuitive to many people, nevertheless it's the fundamental ethos of business networking. Help others. Use a helpful approach especially on business networking websites. Think: "What can I contribute to this community which people will find truly helpful?" And then work hard to extend that help - whatever it is - to as many relevant people as possible. Always keep your integrity. Nothing destroys networking like lack of trust. Trust is based on knowing that the other person has integrity. Ask people: "How can I help you?" and "What can I do for you?" Understand and use facilitative questioning. See Buying Facilitation. The techniques use careful questions to help people clarify their choices and decisions easier. It's a powerful ethos - applicable widely beyond selling. Develop a concise and impressive description of who you are and what you do. Aim high. Think Big. Develop a description of yourself and what you do as a written statement, and as a verbal statement (an 'elevator speech' or 'elevator pitch' - so called because it makes a successful impact in the time you share an elevator with someone who asks: "What do you do?"). Develop slightly different descriptions of yourself for different situations - so that you are as relevant as possible. As you work with these descriptions or 'elevator speeches', you will find that a series of mix-and-match phrases take shape. Continue to refine and adapt these statements. Get feedback from people, and notice what works best, for different situations. Be different to everyone else - especially your competitors. Try to see all your competitors as potential allies. There is often not much difference - just a frame of mind. This can be very significant if you are spending a lot of time looking over your shoulder at what your competitors are doing, and not concentrating on building your own business. Direct all your efforts to growing your own positive activities, and resist losing valuable energy and time and resources combating or worrying about the apparent successes or advantages of others. Be positive. Use positive language. Smile. See the good in people. Be known as a really positive person. It rubs off on others and people will warm to you for being so. Keep your emotional criticisms and personal hang-ups about others to yourself. If you hear someone being negative about another person, you will often wonder, "I wonder if he/she says that sort of thing about me too?.." Some say it's bad Karma to speak ill of another. True or not, why risk it? Saying negative things at the expense of another person brings everyone down. This is the opposite of what business networking requires to succeed. Be passionate and enthusiastic, but not emotional and subjective. Avoid personalising situations. Remain objective. Be tolerant, patient, and calm. Particularly when others are agitated. Followers gather around calm people. Drink less alcohol than everyone else around you, and if you cannot trust yourself to do this, do not drink alcohol at all. Keep fit, or get fit, and then keep fit. Success and followers tend to gravitate towards people who take care of their bodies, as well as their thoughts and actions. As soon as you can, create or have built a clean and clear website for yourself or your business. It is the ultimate universal calling card, brochure, and CV, all rolled into one, and perpetually available. Only promise or offer what you can fully deliver and follow up. Always aim to under-promise, and then over-deliver. Take great care with quick electronic messages (texts, messages, emails, etc) - you will be amazed at how many misunderstandings and breakdowns in relationships occur because a message is wrongly interpreted. Check and read twice everything you send. Always follow up everything that you say you will do, however small the suggestion. If you accept a referral or introduction to someone always follow it through. Say "Thank you" to people whenever the opportunity arises - especially to people who get taken for granted a lot. Be interested in all people. Invest your time, attention and genuine understanding in them. Understand what empathy really means, and practice it. Look people in the eyes. Listen with your eyes. This is about communicating at a deeper empathic level than business folk normally employ. Very many business discussions are superficial - like a game or a set of dance steps; instead make a determined effort to concentrate and care about the other person. Listen properly. Find reasons to give positive feedback to people - give and mean it. Stand up for what's right and protect less strong people from wrong, especially where you see bullying, cruelty, discrimination, meanness, etc. You will hear it everywhere when you step back and out of the crowd. Networking is about building a wide and relevant network of meaningful contacts - not just having lots of one-to-one meetings. Big strongly connected networks inevitably capture more opportunities than networks with lots of holes and weak connections. Choose your most trusted and closest associates very carefully - reputations are built according to the company you keep, beyond how you yourself behave. Target groups and connections that are relevant - which fit your purposes, and you fit theirs. Don't waste your time on groups and connections that lack integrity or relevance. Recommendations reflect powerfully on the recommender, therefore: Recommend only those people you are confident will reflect well on you, and always ensure you reflect brilliantly and memorably on anyone who recommends you. Seek and take opportunities to make a positive difference towards a positive aim (of anyone's) wherever you can - even if some of these opportunities are unpaid and unrewarded in conventional terms. You will learn a lot, create new opportunities for yourself, and develop a reputation for producing good results out of nothing. This is a powerful personal characteristic which people find completely irresistible. Be clear and realistic about what you want when you are asked. Have a plan. Research the customs and expectations of foreign cultures before networking with foreign business-people. What is considered normal in your own part of the world could be quite inappropriate in another. "A person who uses a network of professional or social contacts to further their career." The word 'career' in the OED definition is somewhat limiting. In fact networking has for centuries been used in various ways to grow business as well as personal careers, and to make all sorts of projects happen, regardless of the terminology. The purpose to which the networking efforts are directed can be anything. The principle of networking is finding and building helpful relationships and connections with other people. Mutual benefit (or mutual gain) is a common feature in successful networking - and this is a powerful underpinning principle to remember when building and using your own networking methods. It is human nature, and certainly a big factor in successful networking, for an action to produce an equal and opposite reaction. Effort and reward are closely linked. The expression - "You scratch my back, and I'll scratch yours.." is another way to appreciate the principle of mutual benefit. So is, to an extent, the notion that "It's not what you know; it's who you know.."
"Why would somebody want to know me?" People may do something for nothing for someone once or twice, but sooner or later some sort of return is expected, even if not openly stated. Reciprocity applies very strongly where recommendation and referrals are involved. "Why would someone refer or recommend me?" This introduces the vital aspects of trust and credibility and integrity. Would you refer someone you did not trust, to a valued contact of yours? Other people tend not to either. Return or reward does not necessarily have to equate precisely to the initial gesture. Importantly, reward is whatever makes sense to the recipient. To some a simple 'Thank you' is adequate. To others something more concrete is required. It depends on the situation, the value of the exchange, and the individuals and relationship history. Business networking is practised by all sorts of people in work and business, especially through organized networking events and online services. People who use networking can be employees, self-employed, owner-managers - any role, any level, and any specialism. Networkers can be buyers and/or sellers, not least because most people are potentially both: most of us want to 'sell' or promote our own interests, and mostly we are all capable of 'buying' or otherwise enabling the interests of others. Particularly beneficial results can arise from networking when people's interests coincide to produce an effect greater than the separate parts. Networking can be a very helpful way to find such cooperative and collaborative partnerships - based on mutual interest. A way of understanding this aspect is through the term synergy. Synergy is a combined effect that is greater than the sum of the two (or more) individual parts. Synergy between two providers (even competitors) can produce exciting new service propositions, enabling providers to work as associates or through more formal partnership. Synergistic connections can therefore be a good way for smaller providers to compete effectively with much larger suppliers. Networking connections which produce this effect are valuable and desirable, so look out for them, and try to build a network which contains these sorts of connections, especially where it strengthens your market offering. There are many types of networking situations and methods. Far more than you might imagine. Most people tend to think only of the best known business networking clubs and websites, but business networking can be done virtually anywhere that you find business-people relevant to your aims and capabilities. Understand the nature of different groups and how they operate - online and physical 'real world' - their purposes, rules (official and unofficial) and compositions (the types of people in the groups and their aims, needs, expectations, etc). 'hard contacts' (or a 'hard contact' group/network) - refers to a networking group specifically designed to produce referrals among group members, who may be (according to certain definitions) the only representatives of their particular service/offering in the group. This is usually a group of business people who meet regularly for the purposes of presenting their offerings to the group and who undertake to refer sales prospects to each other. Often such groups are organized under the rules/structure/franchise of an over-arching 'business networking' body or corporation. Aside from this quite specific description, 'hard contact' terminology may be used more generally in referring to a group/network/person with whom a specific business referral expectation/relationship exists, i.e., the main or substantial reason for the relationship is the mutual referral of potential business opportunities/prospects. 'soft contacts' (or a 'soft contact' group/network) - refers to any group or network of people offering possibilities for business networking, sales referrals, introductions, job openings, business opportunities, etc. This can be physical groupings which meet face-to-face (for example, trade associations, interest groups, family and friends, professional institutes, societies and clubs, etc) or virtual groups which are organized via the internet (Facebook, Twitter, Linkedin, etc). In this context, 'soft contacts', and 'soft contact networks' may be organized in extremely varied ways, with little or no expectation/need of business referral activity, and consequently the sales/business person is responsible for assessing and defining how best to approach and develop networking opportunities within each group according to the situation. N.B. Be wary of ambiguous terminology like the above. People may use it in different ways. Clarify meaning accordingly. Such terms are for guidance, not blind adherence/application. Life and business are more complex than simplistic headings. So be open to the possibility of variation, adaptation and other options, outside of brief descriptive structures. Here are some of the main examples of situations and methods suitable for business networking, including specially organized business networking events, meetings, activities and systems. Many of these are not organized networking activities. Many of these networking situations are simply opportunities to meet people relevant to your aims, when your initiative and creativity can turn vague potential into worthwhile networking. For all networking opportunities, your success is dependent on the relevance of the situation and the quality and energy of your involvement. Brief pointers and tips are shown alongside each networking opportunity. Conferences are full of people with common interests. Coffee breaks are an ideal time to make introductions. Exhibitions are obviously full of business people with a common interest. Most exhibitions rightly do not like visitors to canvass the exhibitors, but there are plenty of other situations to meet people and network. Seminars attract business people of all sorts. Again there are usually coffee breaks which are ideal for making introductions and getting to know people. Open training courses are excellent for meeting other business people. Many will encourage informal networking among delegates because this adds value to the quality of the event; certain types of training bring people together in work teams, making it extremely easy to get to know all attendees very well. All towns have at least one 'chamber of commerce', specifically to bring local business-people together. Many run networking events and/or other meetings and activities which are ideal for networking. Several companies run regular breakfast networking clubs as their primary business. Other companies will run one-off events to connect with the local business community. These purpose-designed events obviously provide a good opportunity to engage with other business people. Since the development of interactive website technology in the late 1990s there are increasing numbers of online business networking organizations. Each has its own culture and systems. Some are vast, covering all types of business imaginable, for example linkedin.com. Others are industry or trade specific, and some are geographically focused. All can be found quickly and easily by searching the web. Website forums Website forums exist for every subject you can think of. 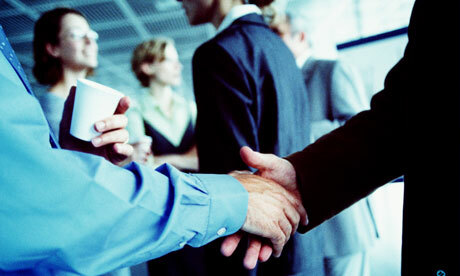 Each offers a networking opportunity for the subject matter concerned. Website user groups User groups are a further variation of groups found online. User groups are typically within the websites of major internet corporations such as Google and Yahoo. Many user groups are highly specialised, and by implication, internet networking is second-nature to most of these people. Professional body websites Every profession and trade is represented and connected by at least one official body, which tends to act on behalf of its members, and also offers various opportunities for outsiders to get involved and make helpful connections. Interactive special interest websites Networking has been made much easier with the advent of interactive membership websites. When you have identified your target groups, there will be a specialist membership website somewhere which represents and brings them together. Community social websites Facebook is the obvious example. There are many others. Culture and demographic profile are different in each. Some of these websites and memberships are vast. Bigger than countries. This is because of the social aspect, which might initially be appealing, but making a business impact can be very challenging due to the scale of these operations. Online/mobile communications applications Twitter is the obvious example. New internet platforms like these can grow from nothing to be hugely popular social connection systems in just a few months. Business people can use them to good effect if approached in a very dedicated and technically informed way. Otherwise they can become big time-wasters, so beware. Local networking events Anyone can set up a networking event, so you can find isolated or more permanent networking operations cropping up at a town near you. Speed networking events Speed networking is a highly structured type of networking event, in which an organizer (there are several, of varying type and quality) coordinates quick introductions among a group of typically between 20-40 people. The concept is similar, and probably modelled on speed-dating formats. Every specialist subject has its own society or association. These organizations offer various ways to meet their members. Every industry has its own institute or similar. Various events and methods generally exist by which outsiders can engage with the institute's membership. Lectures and talks occur widely, held or promoted by various organizations for all sorts of purposes. Obviously a lecture/talk will attract a common grouping of people interested in the subject concerned. Universities and colleges Universities and colleges are like little towns in their own right. Some are like quite big towns. They are also now run like big businesses. These communities contain a vast number of very interesting people, many of whom are very relevant to business. For the past twenty years or so, these big educational establishments have been increasingly keen to engage with business people of all sorts. It's a matter of talking to them and discovering what opportunities exist for getting involved. Hospitality events Corporate hospitality events - a rarer thing in modern times - are typically organized by big corporations to get to know their suppliers and customers better. If you find yourself involved in one of these it will present some of the best conditions for business networking that you will ever experience. Fill your boots, as they say. Shareholders meetings If you have company shares, especially in a big corporation, you will tend to meet a lot of business people at shareholder gatherings. Many shareholders do not invest just for financial reasons - many invest because they have an enthusiasm for the company's technology or culture, which in some cases can offer a relevant target group for your business networking aims. Annual General Meetings AGMs are by their nature a regular occasion offered by corporations and membership organizations to engage with its members. Some are very formal and tightly run with little networking opportunities, but others are more sociable affairs, in which case if the group is relevant to your aims, and you can become a member it's worth consideration. Conventions Conventions are organized for all sorts of special interest groups. If the group is relevant to your aims in any way, then their convention could offer excellent networking opportunities. Pressure groups Pressure group meetings are strongly connected and usually attended by very active and energized people. If the subject is relevant to your aims there will be opportunities to meet some interesting people at this sort of event. These situations often also have scope for volunteering and becoming involved at a strategic level. Public meetings Public meetings are held for all sorts of reasons, for example local planning consultations; presentation of local development plans. These events attract business people, especially if the subject relates to commerce, as many will do. At meetings like these, most attendees sit and listen for quite a while, and consequently are ready for conversation during breaks and at the close of the meeting. Product launches Product launches invariably offer at least one situation when attendees stand and mingle together drinking tea/coffee. Some have receptions afterwards. If you are able to attend one of these events where the subject is relevant to your aims, then you will find opportunities to network. The same applies to book launches and similar publicity events. Opening ceremonies Opening ceremonies, especially for notable new buildings, attract many local business people and dignitaries. If the community concerned is relevant to your aims this sort of event can provide useful networking opportunities. The same applies to unveiling ceremonies, especially where there is a reception afterwards. Festivals and shows Festivals are organized for many interests, and naturally attract a large group of people with related involvement, including business-people. Agricultural and county shows are a further example. If the subject is relevant, there'll be networking potential. Foreign trade visits Local chambers of commerce, regional development agencies, and similar business bodies routinely organize trade missions and gatherings to promote international trade for their region and/or members. Such activities offer excellent networking scope. Sports clubs Lots of business people enjoy sport, and enjoy mixing sport with business. Golf is the stereotypical example for sports club networking, although all sports, and other special interest clubs, tend to have many business people in their membership. If the group is relevant to your aims and you enjoy the activity concerned, consider becoming a member yourself. Other clubs Clubs exists for every hobby and interest you can imagine. Instead of sitting at home watching the telly, join a local club that interests you, and meet some new interesting people. Pubs Not all pubs are good for networking, but some are great, because they are the regular haunts of local business-people. For a very long time indeed, lots of business has been done in pubs. Trains, boats, planes, etc. Business-people tend to travel around a bit. When you are travelling too, keep your eyes and ears open and be ready to start conversation. Delays are particularly useful for making introductions. So are long plane and train journeys when you could be sat next to another business person for several hours. Make the most of these opportunities.